To hear Heidi’s fantastic 80-minute interview with Ben on Friday, May 20, 2011, click here. fielding questions about this class, click here. Too often, we know what we want to do, but not how to do it — how to turn our knowledge and desire into action. Each of us knows the frustration of working with someone to put them on a path to positive change, only to watch them fail to actually walk that path. Perhaps you, too, have struggled to make changes in your own life. After all, who hasn’t? This science-based approach to making lasting change will be profoundly useful to coaches, counselors, therapists, managers, leaders, parents, and anyone else concerned with showing others how to reach their fullest potential and greatest well being. Week 1: The Goal Saboteurs: Why our intuitions about why we succeed or fail are usually wrong, and the real pitfalls of goal pursuit. Week 2: Specificity, Difficulty, & Realistic Optimism: What to do when setting a goal to make you much more likely to reach it. Week 5: A Simple Plan: Why if-then planning is the single most effective strategy you can use to reach any goal. Week 6: Building the Willpower Muscle: Why self-control operates like a muscle, what that means for how we should use it, and how we can get our hands on some more of it. Week 7: Perseverance and Grit: Most people give up way on themselves way too soon. Learn how to cultivate grit and hang in there long enough to make lasting change. Week 8: Giving Feedback that Motivates: Even well-intentioned feedback can backfire. (In fact, it frequently does.) Learn how to phrase criticism and praise in ways that support autonomy and fuel motivation, while providing the honest assessment they need to develop and improve. You’ll discover practical, simple, and easy to use strategies that have been proven effective in diverse populations for reaching professional, relationship, health, and life goals. You’ll understand why not every strategy is effective for everyone, why some strategies feel right while others don’t, and how to identify what will work best for you and for those you are trying to help. You’ll master the art and science of giving feedback – feedback that does exactly what you want it to do. You’ll learn how to bridge the gap between desire and action. Setting goals is not enough. Being committed to them isn’t enough either. Defeating the goal saboteurs is all about strategy — how we set goals, how we pursue them, how we handle obstacles when they arise. This course will teach you the strategies you need to make success happen. And if you ever lead workshops on goals? I promise you you’ll have new, exciting material your audience has not heard of. 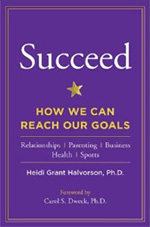 The textbook for the class is Heidi’s latest book, Succeed: How We Can Reach Our Goals. Graduates of this class will be able to earn eight hours of CEs for social workers (NASW) and Marriage and Family Therapists in California (BBS). Please note these CEs are relevant only for licensed mental health professionals in the United States. If you are not a licensed mental health professional in the US, you do not need these CEs and you should not pay the CE fee. Attendance Requirement for CEs. Before paying for CEs, please note the attendance requirement! You must be present–actually listening on the phone, real time–for seven of the eight classes. To document their live attendance on each call, students email in the class attendance codes (given at the start and end of the class) within 24 hours of end of Heidi’s lecture. International Coach Federation. There will also be 8 hours of coach continuing education credits for members of the International Coach Federation. You do not need to pay the CE fee for coach continuing ed credits. Certified Mentor Coach. The class will also count toward MentorCoach and ICF Certification for MentorCoach students. Again to qualify, you must be present (“live”) for 7 of the 8 calls. Again, you do not need to pay the CE fee for coach continuing ed credits. 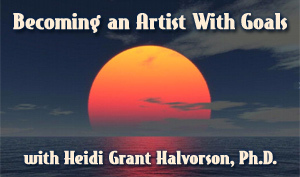 Heidi Grant Halvorson, Ph.D., is a leading scholar and gifted teacher in the field of goals and motivation. The Psychology of GoalsIn addition to her work as author and co-editor of the highly-regarded academic book The Psychology of Goals (Guilford, 2009), she has authored papers in her field’s most prestigious journals, including the Journal of Personality and Social Psychology, Journal of Experimental Social Psychology, Personality and Social Psychology Bulletin, European Journal of Social Psychology, and Judgment and Decision Making. Most recently on the psychology department faculty at Lehigh University, Heidi is passionate about the importance of understanding goals and using them in a powerful way. She spends much of her time talking and writing about motivation science, and trying to help people understand how they can use the science of motivation in their own lives. 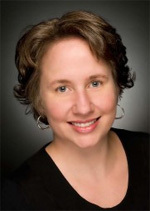 Praise for Heidi Grant Halvorson, Ph.D.
Carol S. Dweck, Ph.D. is the Lewis & Virginia Eaton Professor of Psychology at Stanford University and author of Mindset: The New Psychology of Success. Edward Hallowell “SUCCEED succeeds big-time! Rare is a book that is both brilliant and practical, entertaining and rigorous, easy to read and deep. SUCCEED is such a book. If you want to bolster your level of success and in general lead a happier life, this book is for you!” — Dr. Edward Hallowell, psychiatrist and bestselling author of Delivered from Distraction, CrazyBusy, Superparenting for ADD, and Dare to Forgive.